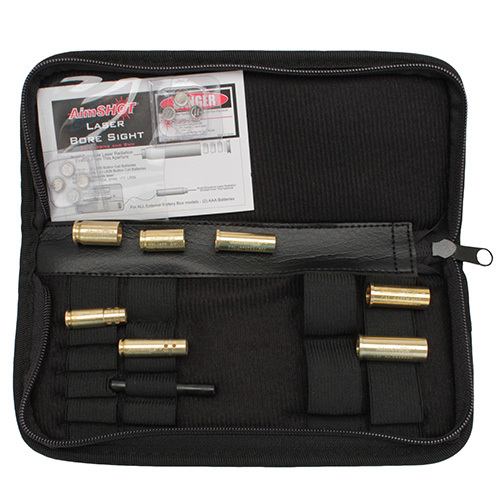 The Aimshot Pistol Boresight Kit is a 30 Carbine and 9mm Laser Bore Sight that is used to bore sight your rifle or most pistols. The 30 Carbine is the laser that is used with all of the pistol caliber arbors to bore sight your pistols. Uses 2 AAA batteries included to power the laser for 1020 hours.